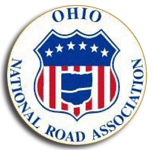 Posted October 13th, 2015 by ONRA & filed under News. 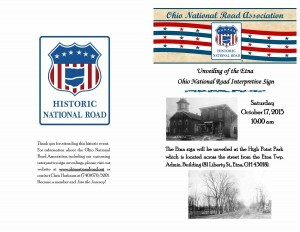 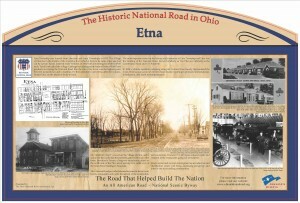 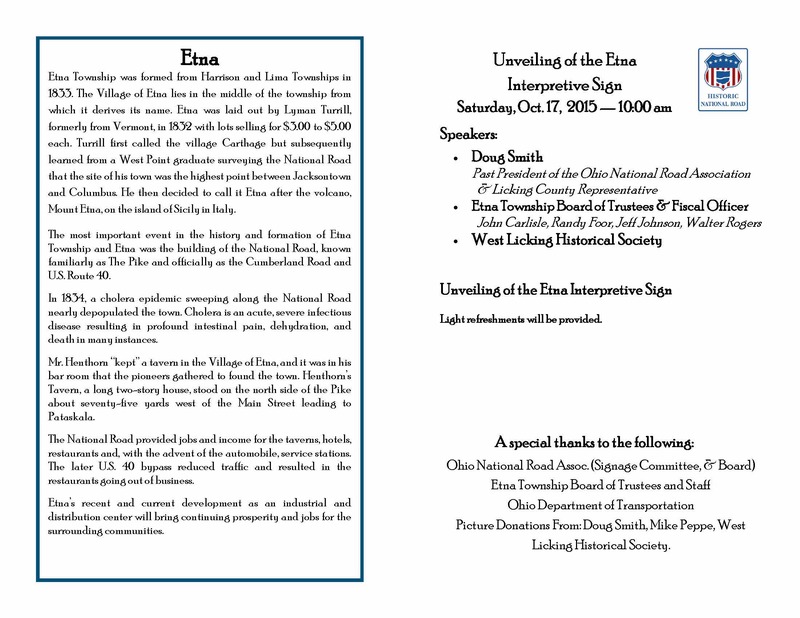 This Saturday, October 17th, 2015 at 10:00 am the newest Ohio National Road Association Interpretive Sign will be unveiled, the sign is the pike town of ‘Etna’. 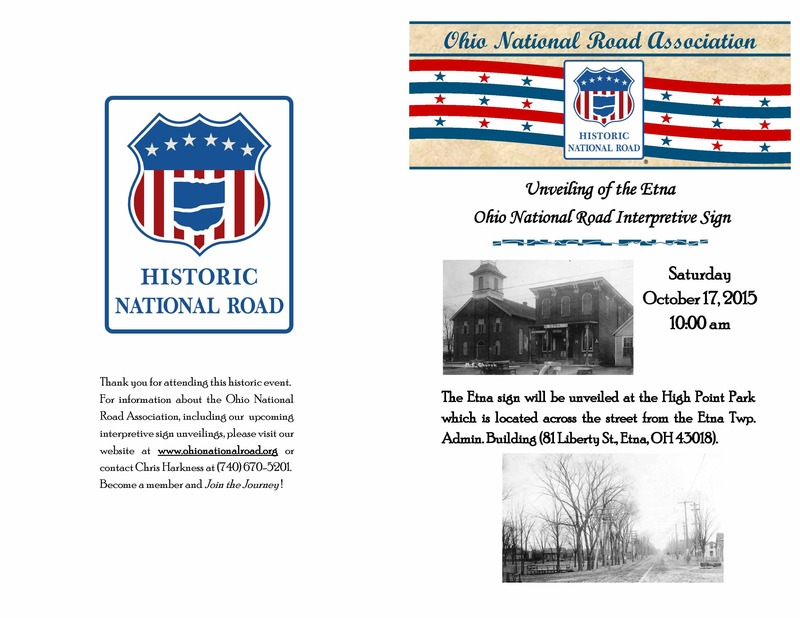 Please plan to attend this exciting event and support the Ohio National Road and the Etna community! 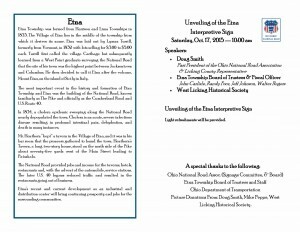 The program is below.